ONLY 51,993 Miles! Heated Seats, Turbo, iPod/MP3 Input, Bluetooth, Alloy Wheels, COMFORT/CONVENIENCE GROUP, BEATS AUDIO PKG AND MORE! iPod/MP3 Input, Bluetooth, Aluminum Wheels. Rear Spoiler, MP3 Player, Keyless Entry, Steering Wheel Controls, Heated Mirrors. BEATS AUDIO PKG SIRIUS satellite radio, Beats premium audio system, COMFORT/CONVENIENCE GROUP heated front seats, auto temp control w/micron filter, SIRIUS satellite radio, 1.4L 16-VALVE I4 MULTI-AIR TURBO ENGINE (STD), 5-SPEED MANUAL TRANSMISSION (STD). 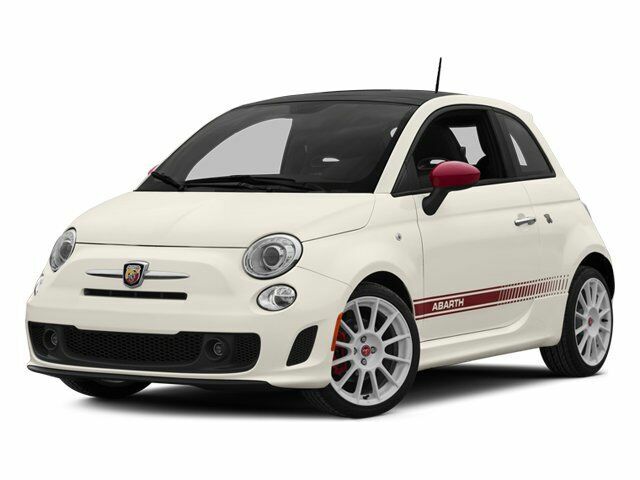 FIAT Abarth with Grigio (Gray) exterior and Black Interior interior features a 4 Cylinder Engine with 160 HP at 5500 RPM*. CarAndDriver.com explains "Cuteness runs deep in the 500. Interior and exterior styling are reminiscent of the original 500's, yet fully modern.". Great Gas Mileage: 34 MPG Hwy.